Learn how to advance your career by taking a page from these hardworking female leaders. Our EAP is designed to help you manage health, well-being and productivity. Choose wellness activities, complete goals and earn a reward of $300! Have you seen the latest thinking behind Arrowhead's brand? What's a brand, you ask, and why should it matter to me? It's a cheatsheet of sorts, compiled from hundreds of hours and dozens of employees, all to help us better articulate Arrowhead's core values, culture, mission and more. Want to join the Culture Committee? We have officially rebranded Manufactured Housing, Forestry and Security & Alarm programs as Arrowhead from OnPoint. Meet the teams now sporting our beloved Arrowhead logo. Community gardens for a children's emergency shelter. Blanket drives. High school tutoring and scholarship drives. Their charities are as varied as the volunteers themselves. Meet all three and learn about their pet charities. 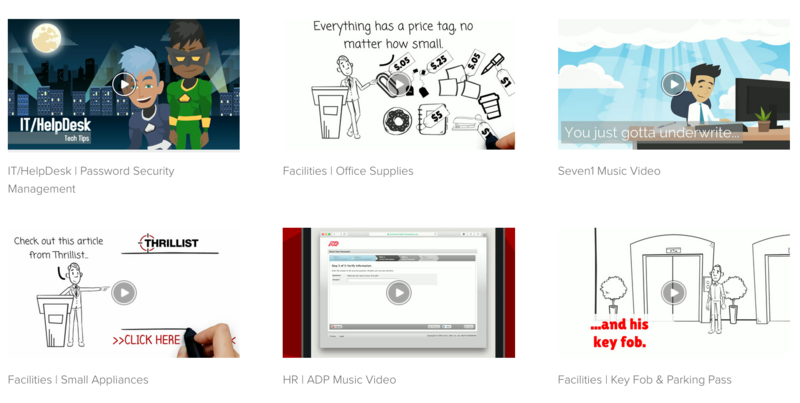 Here are entertaining videos to help you review some company basics - Like thou shalt not steal office supplies and why you should update your passwords on a regular basis.